Baby by Marie Campbell is a very gripping, emotional and chilling story. I read this book within a night the chapters were a great size and the storyline so gripping I couldn’t put it down half-finished… I found the character’s very interesting especial Anne and Jill. Both women were so different, Jill was kindhearted normal kinda lady and Anne had been though a lot over her life and it had turned her a bit twisted. But they had something in common they both loved Michael in their own way. Only Jill was his future and Anne his past. The story itself follows the twisted love triangle of Anne, Michael and Jill. After Jill finds out she is having Michael’s baby they both start to plan their happy life together. Only Michael past girlfriend Anne returns into his life. Man-naps him and holds him in her home, while she plays with his emotions and befriends Jill just waiting for the day she can take her baby and make a family with Michael. Will she get the family she wants anyhow she pleases? Or will Michael and Jill find a way to save themselves? Read this book to find out. 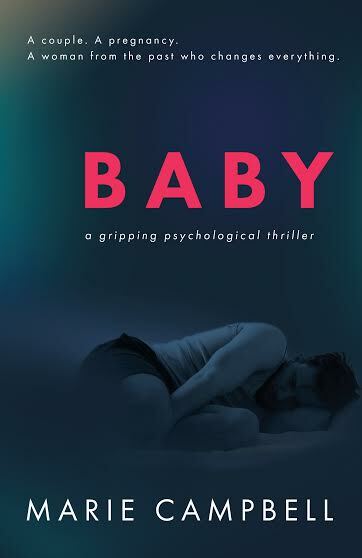 I would recommend Baby to anyone who likes an intense, chilling and emotional read with well-rounded characters and an ending that will leave you hoping there’s another book around the corner at some point. Then this book is for you. ← My Review of The Adventures of Shifting Jack By Denise Erguler.